The saying “everything old is new again” can be applied to many things: fashion, pop culture trends, and of course, collectibles. With CompleteSet, co-founders Gary Darna and Jaime Rump have fully embraced this idiom. Dubbed “the online treasure map for collectors”, CompleteSet is a web-based application that offers a nostalgia/collectors museum, user community, and an online marketplace to help you buy that special item needed to round out your collection. The service is free to join and is currently geared towards collectors of brand-based memorabilia, such as toys, games, and comics. CompleteSet relies on a “crowd sourcing” model – specifically, on a growing number of volunteer collectors/curators (at last count 7,000+) to catalog what they have and what they want. Each entry in the online database becomes part of Complete Set’s catalog of collective goods that can be searched and browsed by other members. According to Darna, the site has members from 34 countries and has cataloged more than 100,000 collectibles. I joined as a curator for the Easy-Bake Oven brand over a year ago in conjunction with the release of my book on the history of the toy oven. My experience with the application has been overwhelmingly positive. I continue to be impressed by the ease-of-use, quality of information and photography of the online collection – three factors that make CompleteSet stand out from other collector-community sites that I’ve checked out. The CompleteSet experience is also “responsive”, which in web-developer speak means you’ll enjoy using it on your mobile phones and tablets as well. Darna & Co. plan on releasing a native iPhone app soon, with apps for the iPad and Android devices to follow. The Cincinnati, Ohio-based startup opened its doors in September 2012 and a beta version of CompleteSet was launched in May 2013 as an invitation-only service. 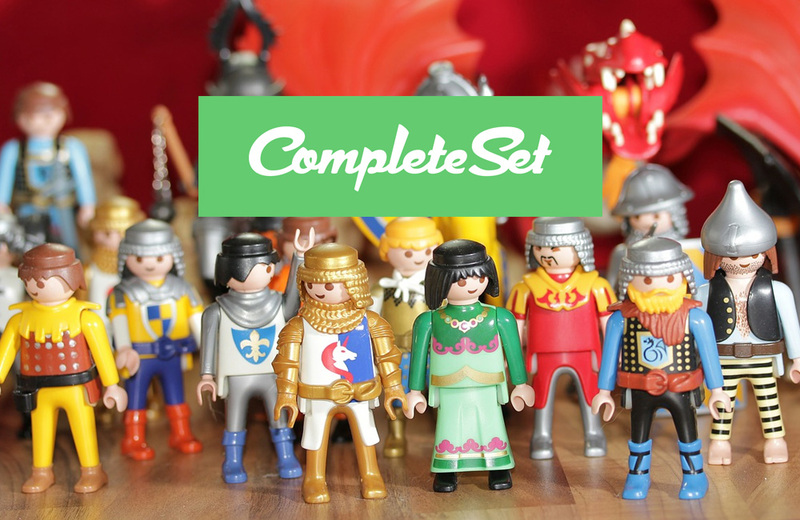 CompleteSet 1.0 was officially rolled out in October 2014. The company recently received its first round of outside financing and plans to use the money for continued product development, expanded marketing, and to add employees to the development team. Like any start-up, CompleteSet has lofty goals – digitally archive every collectible ever made, become the ultimate destination for collectors and fans of all types of collectibles from the oddly obscure to the mass-produced mainstream, and facilitate world peace. Of course, I’m kidding about that last point, but once the CompleteSet community finishes cataloging the estimated 400,000 unique collectibles in the Star Wars universe, ANYTHING is possible! To sign up, visit the CompleteSet site. To keep up with the growth of the company, new features added to the application, and newly curated collections, make sure to also follow CompleteSet on Facebook, Twitter and Instagram.